Snow Globe Banner and how to add the "flitter". 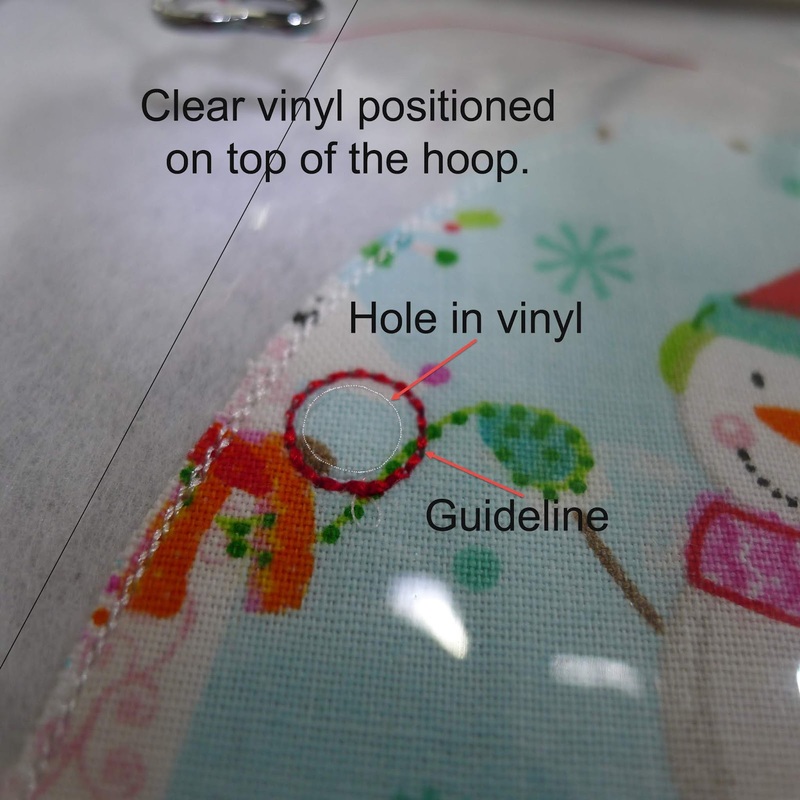 When stitching the Snow Globe Banner ITH Project, you have the option of adding a clear vinyl layer before the final Satin Stitch edge finish and the option of inserting "flitter" inside the layer before the eyelets are stitched. Neither the clear vinyl nor the "flitter" are necessary but depending on the look you want, the additional steps can make your banner pieces look very elegant. The easy to follow step by step instructions included with the files fully explain how the design comes together and this pictorial is to help clarify the steps for preparing the vinyl for adding the "flitter". If you are NOT adding "flitter", simply ignore the step for stitching the guideline and treat the vinyl like a piece of fabric as there is no need to use the guideline. 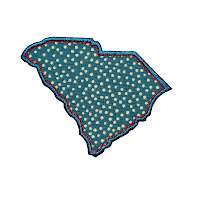 As you can see in the below image, there is a red circle which has been stitched onto the fabric. This step Color 6 is the guideline (or template) for lining up the insertion hole (in the piece of clear vinyl). The circle is exactly where the eyelet will be stitched in the last step and serves as a positioning aid. The red circle is the guideline for lining up the clear vinyl. After applying the backing fabric, Color 7 asks you to cut a piece of the vinyl slightly larger than the globe (or dome) and place the vinyl onto the hoop directly on top of the globe and mark the position of the guideline hole (previously stitched in Color 6). 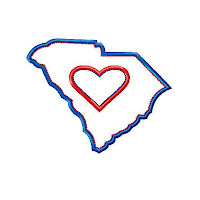 Remove the piece of vinyl and then use a hole punch (or sharp pointed pair of scissors) to cut a hole where you made the mark. The hole should be no bigger than the guideline hole - ¼” diameter. 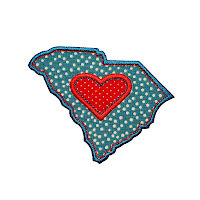 Use a hole punch or scissors to cut a hole in the vinyl. 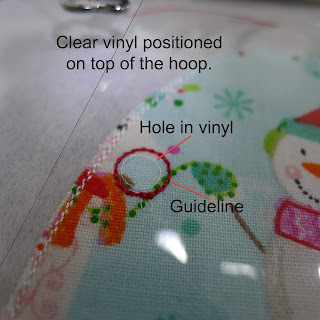 Before Color 8, position the clear piece of vinyl with the hole directly over the guideline on the fabric (the red circle stitched previously). Line up the hole in the vinyl with the guideline on the fabric. Color 8 is the vinyl tackdown stitch for the globe. Remove the hoop from your embroidery machine but DO NOT unhoop the project. Trim around the vinyl being careful not to pull it away from the stitches. Take a tiny funnel (or create an open-ended cone made out of paper and tape). To insert the funnel tip into the hole, gently prize the vinyl forward. Use the point of your scissors to pull the opening forward as I did in the picture below. Prize the hole in the vinyl forward to insert the funnel tip. Fill with “flitter” to the desired level. For best results, don't go above the lowest level of the snow area as you still want to see the satin stitching. Shake the “flitter” down to the snow area before inserting the hoop back into your machine. Color 11 is the stitching of the eyelets. As the eyelets are being stitched the "flitter" will want to jump around inside of the clear vinyl. To stop this from occurring, gently place your finger flat across the snow globe to keep the “flitter” from moving towards the needle. Finish your banner as per the remaining instructions and don't forget to show us your completed Snow Globe Banner on Facebook or Instagram using #BigDreamsEmbroidery. 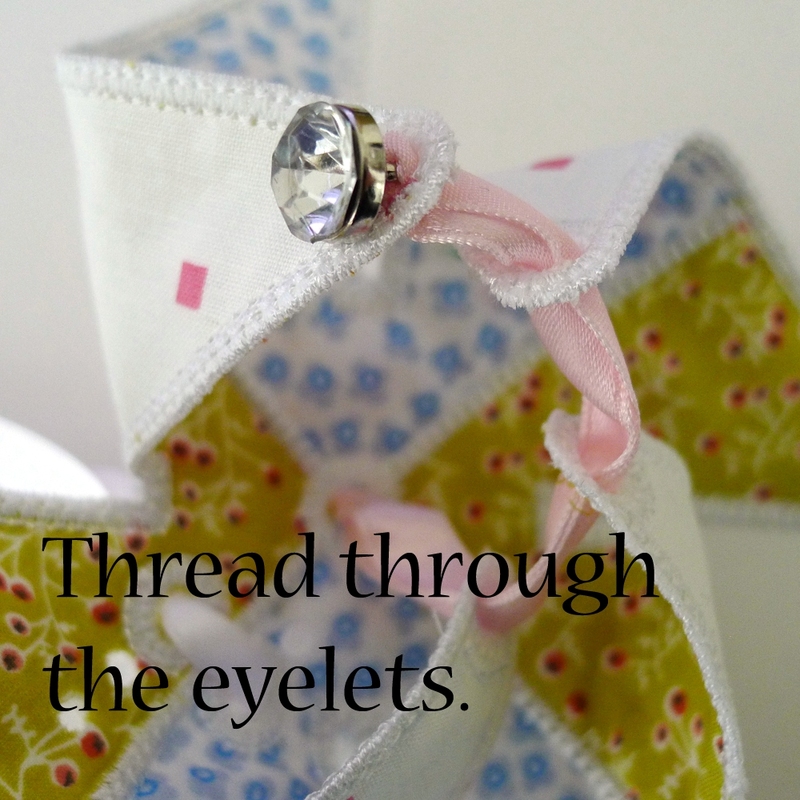 The Pinwheel Banner ITH Project by Big Dreams Embroidery is a wonderful way to use up those little fabric scraps that you LOVE too much to throw away. I have this problem too! 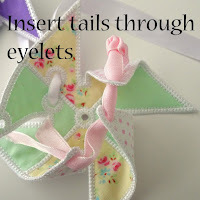 Once you have stitched your Pinwheel Banner piece, it's time to assemble them. 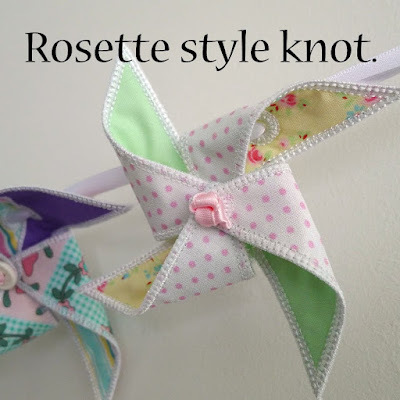 Slide each one onto a 2 yard length of ribbon and then you can start to assemble the individual pinwheels. Here are some tips on how I assembled my Pinwheel Banner. 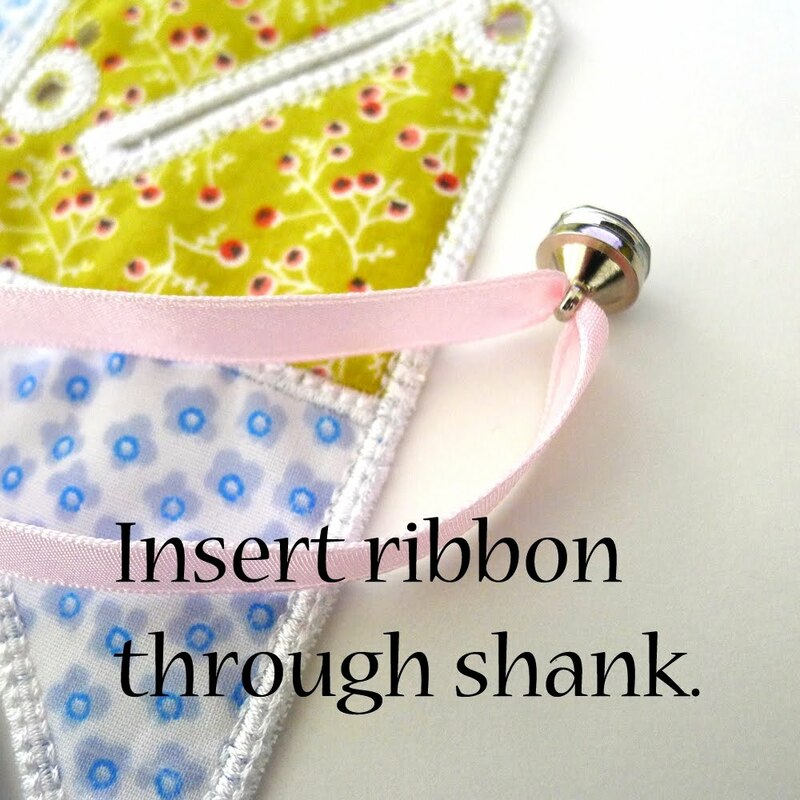 Slide the unassembled pinwheel banner piece onto the length of banner ribbon before you assemble the pinwheel. 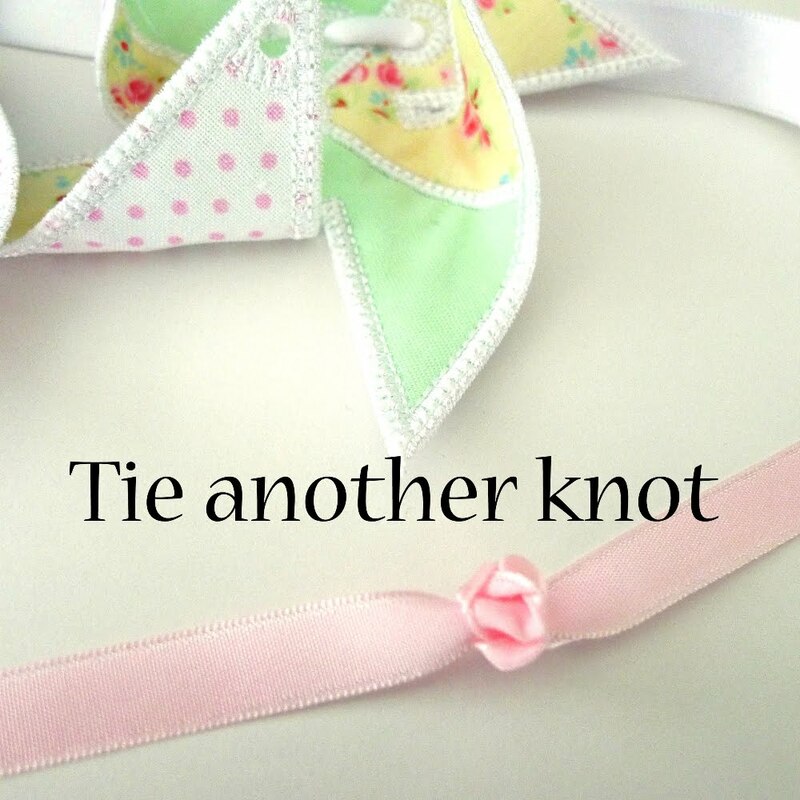 Take a piece of ribbon approximately 12" in length and tie a double knot at the halfway mark. Thread the ribbon tails through the eyelets, finally exiting to the back of the pinwheel. 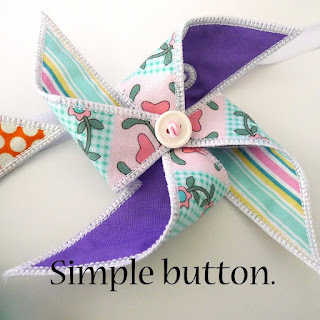 You can also thread ribbon through a pretty button with a shank. 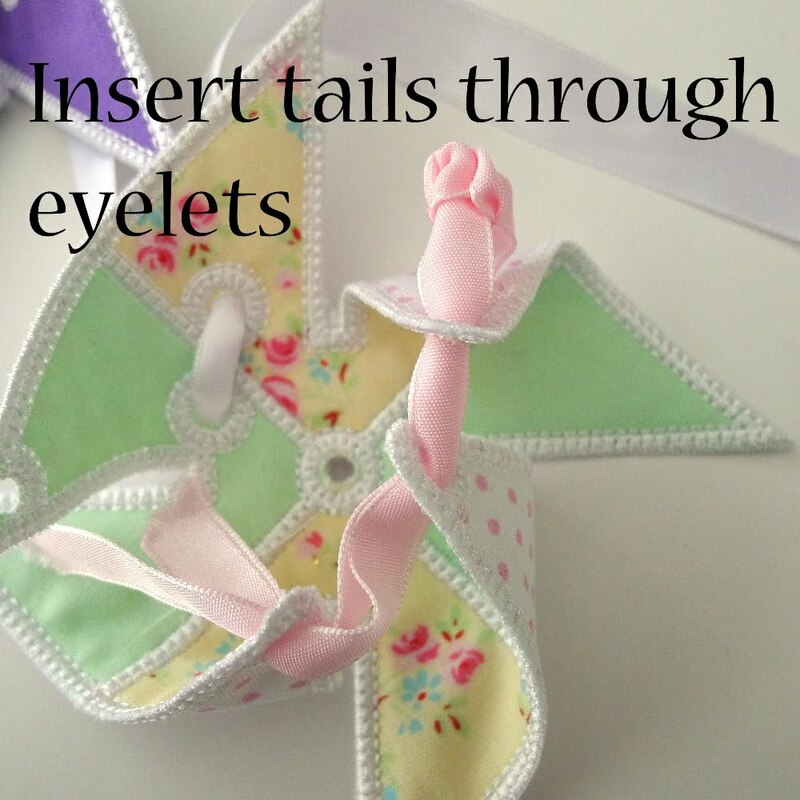 You can find Pinwheel Bunting ITH Project HERE. 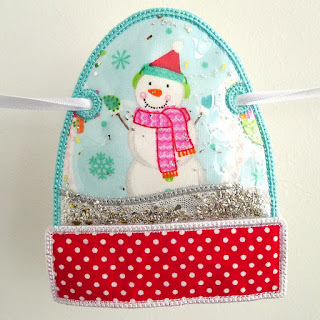 Tutorial - Styling the Christmas Decoration Banner ITH Project. This is a little step-by-step tutorial on how I styled the Christmas Decoration Banner ITH Project. I decided that not every banner piece will have a bow with this banner. 1. 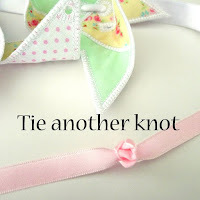 For the banner pieces where you want to tie a bow, push the length of ribbon from the back to the front of the eyelet. Leave a tail of around 5" to make it easier for tying the bows. 2. Thread the ribbon through the other eyelet from back to front, again leaving a tail of around 5". 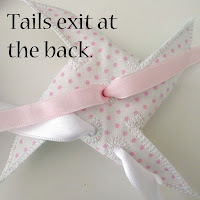 You may need more or less than 5" tails of ribbon - it all depends on how nimble your fingers are. 3. You'll want to have consistent spacing between the banner piece and its neighboring piece before you tie your bow. I prefer to have my banner pieces close to one another. 4. When you are happy with your spacing, tie your bow. 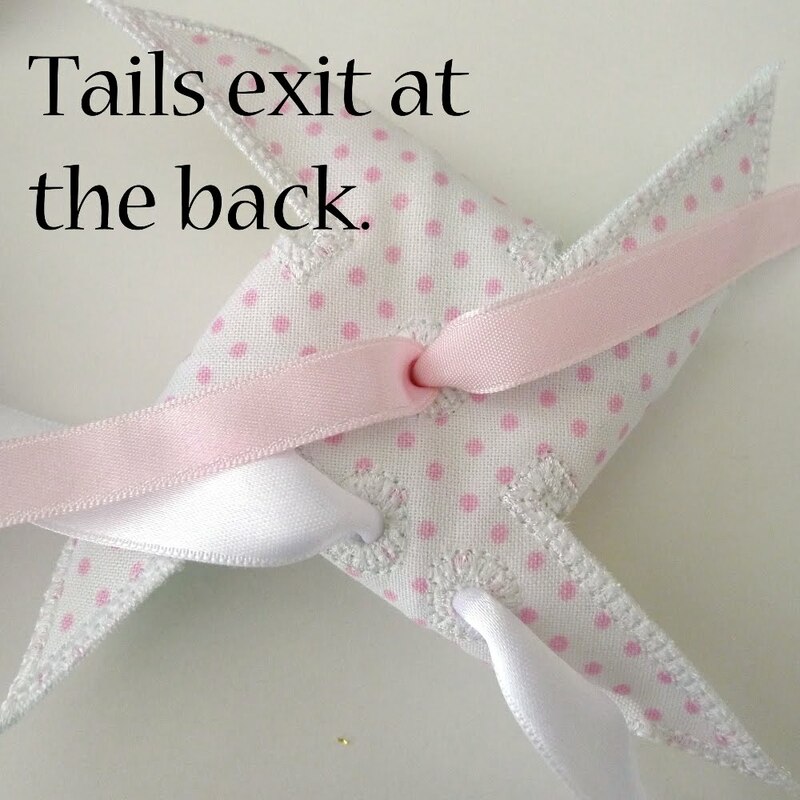 Spend a moment teasing the bow into the right size and shape by gently pulling and re-pulling the tails and loops until you are happy with the result. Finally, it's time to trim your tails. I recommend you do the trimming after all of your banner pieces and bows are made. The finished result... My Christmas Decoration Banner ITH Project is ready to hang! 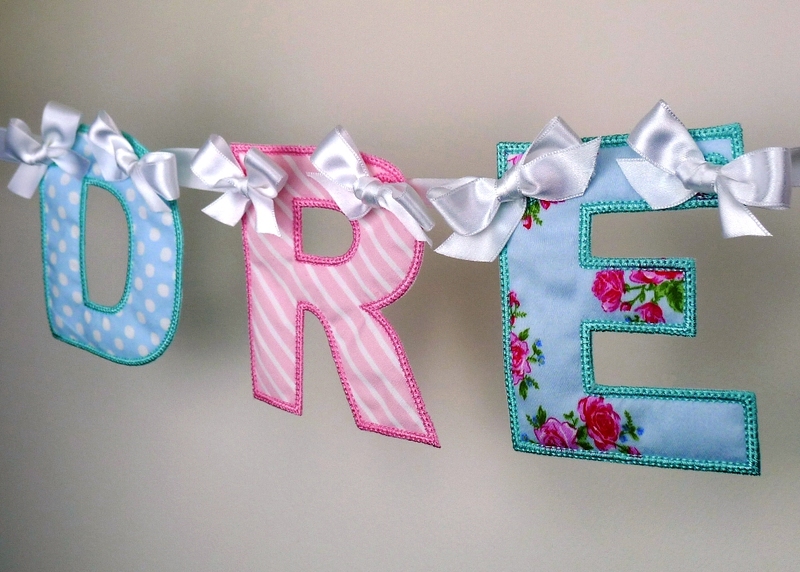 This method is just one of the many ways you can style your own beautiful banners. I'd love to know your styling methods too! 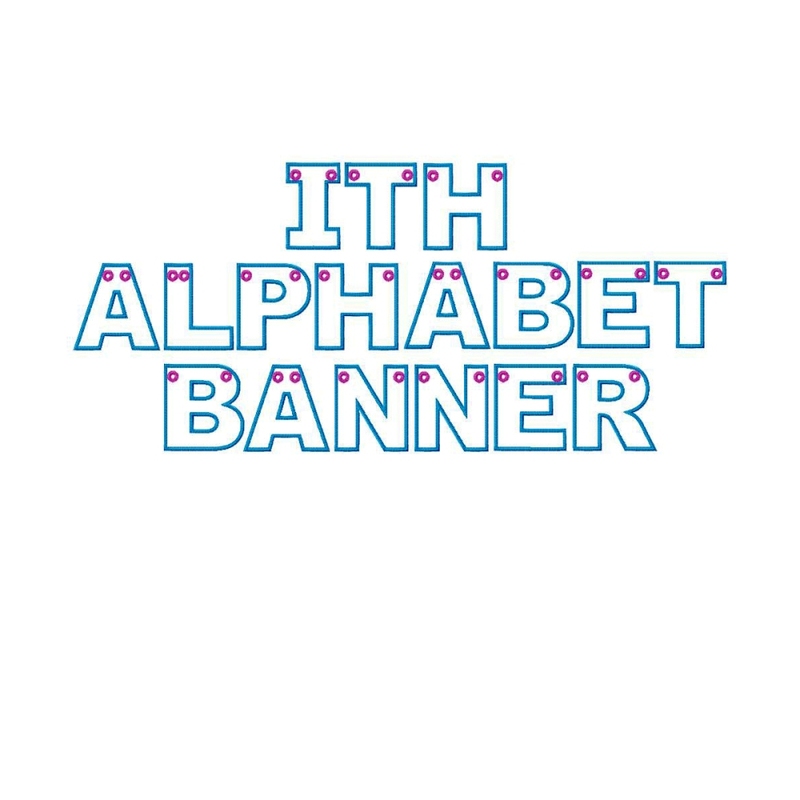 Tutorial - Styling the Alphabet Banner ITH Project. 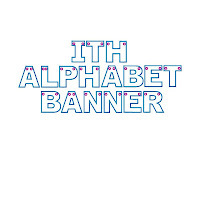 This is a little step-by-step tutorial on how I styled the Alphabet Banner ITH Project. 1. 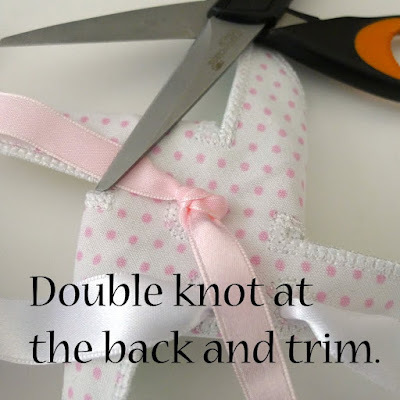 Use something pointed (but not sharp) to push part of the length of hanging ribbon from the back to the front of the eyelet - pull through 1" of ribbon to create a loop. 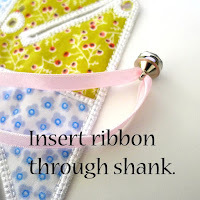 Make sure this longer length of hanging ribbon stays untwisted and horizontal as you proceed with your banner. 2. Take a 13" long piece of ribbon and place it vertically midway through the loop. You may need more or less than 13" of ribbon - it all depends on how nimble your fingers are. 3. 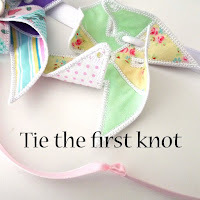 Gently pull the horizontal piece of hanging ribbon so that the loop disappears and gently gathers the vertical piece of ribbon. Don't pull too much or it will disappear into the eyelet and you will have to start again from step 2. 4. 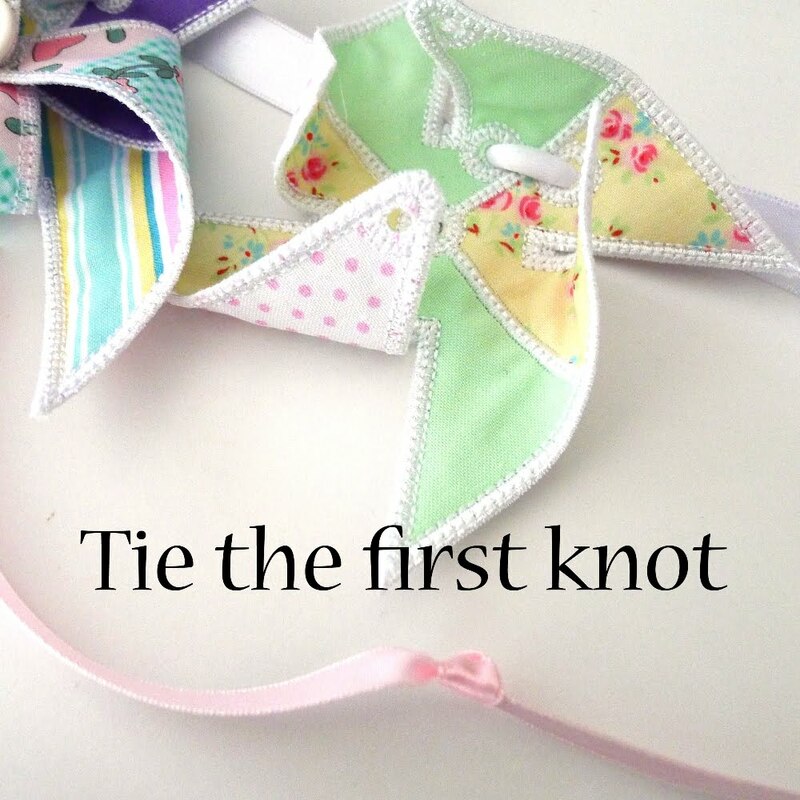 Take the bottom half of the ribbon and loop it over to the left with the tail to the right. 5. 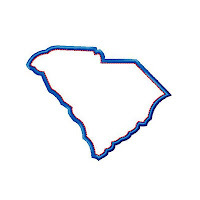 Take the top half of the ribbon and bend the tail over to the bottom left corner while pushing a loop of it through the middle and out to the right hand side. Now you should have a loose bow. 6. Spend a minute teasing the bow into the right size and shape by gently pulling and re-pulling the tails and loops until you are happy with the result. 8. Trim your tails. ...I recommend you do the trimming after all of your banner pieces and bows are made. Here's a versatile set of files you will have a lot of fun with! 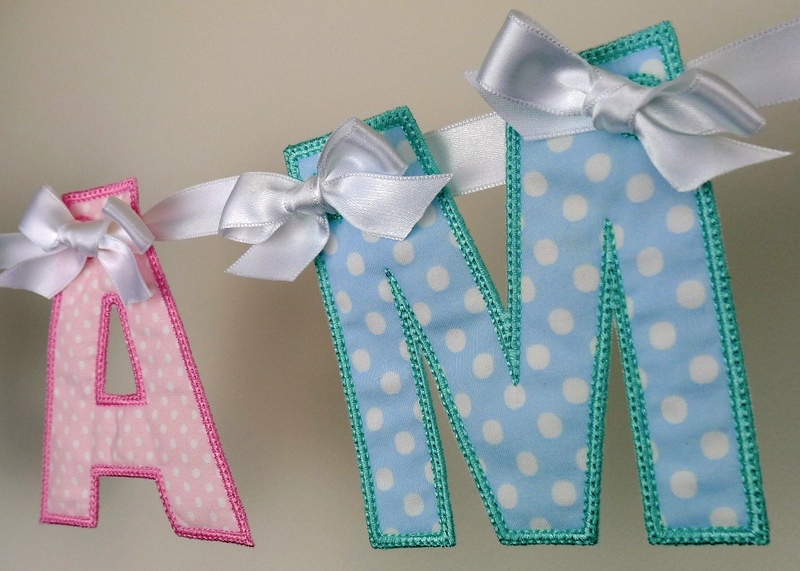 Choose your fabrics and threads and you will soon be creating fun personalized banners for every occasion and for fun home decor too. The hardest part is deciding which colors to use! 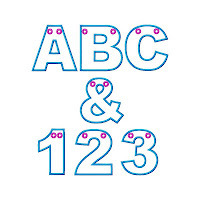 The set comprises of uppercase letters and numbers (and an ampersand too) in 3 sizes 4", 5" and 6". 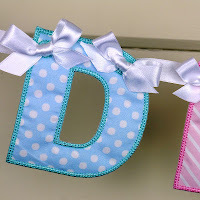 You will be delighted at how quick and easy it is to make this two-sided banner all done in the hoop with step-by-step instructions to guide you. You are hooping stabilizer only, appliqueing your fabric over the top, applying backing fabric behind your hoop, finishing the edges and eyelets and cutting away the stabilizer. Exact sizes:4x4 hoop - 3.93" high. Width varies to 3.93"5x7 hoop - 5" high. Width varies to 5"6x10 hoop - 6" high. 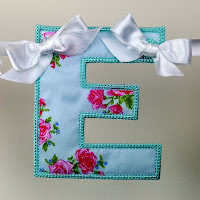 Width varies to 6"
- ALPHABET BANNER ITH Project in the hoop in the format of your choice.- Easy to follow Step-by-Step instructions – simply cut as you sew! - Easy to follow Assembly instructions!"